2 March 2016, at 6:00a.m. 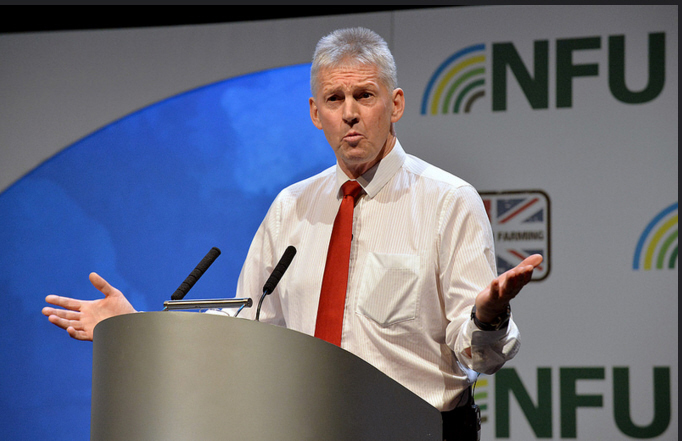 UK - British farmers could receive a basic grant of £90 per acre to replace the subsidies in the Common Agricultural Policy if the UK votes to leave the EU in June. Speaking in debate on the EU Referendum during the National Farmers’ Union conference in Birmingham, Daniel Hannan (pictured above), Conservative MEP for South East England and part of the Leave Campaign, warned that the UK was paying too much into the Common Agricultural Policy and not receiving enough back. “Every year since we joined there has been an imbalance,” he told the conference. He said that the UK is a net importer of food but the country has been negatively hit by the CAP and the payments that are being made are helping to subsidise farmers in other EU countries. He said that virtually every country in the world, apart from New Zealand, supports its agricultural sector, but the UK farmers were not receiving the support they should from the EU. “No one is disputing supporting the custodians of our landscape,” Mr Hannan said. “We have a collective interest in preserving that resource. There is no dispute about the principle of supporting farming. Mr Hannan said there could be a simple arrangement paying farmers a flat rate £90 per acre in support. He said that the CAP was a complicated system designed to benefit farmers in Bavaria and France but not the UK. He admitted that there were risks in leaving the EU, but he said there were also risks in staying in. “There are uncertainties involved in staying in,” he said. Mr Hannan said that a great number of rules that were adopted by the EU were set on a global level and that by leaving the EU the UK would be able to have a say in global talks rather than being represented as one of 28 countries. He said that as the UK is the fifth largest economy in the world, its voice would be heard on the world stage. He said that leaving the EU would also open up British agriculture to more access to new technology and developments, whereas “the EU path leads to stagnation”. In reply, George Lyon, the former Scottish MEP and member of the Britain Stronger in Europe group said that as the fifth largest economy in the world, the UK had a large role to play in the largest economy in the world – Europe. “The EU is far from perfect,” Mr Lyon said. Mr Lyon said the UK has helped to deliver success in Europe and it has 44 per cent of its exports going to the EU and 60 per cent of its food and drink exports. “Being part of the EU has made us one of the most progressive economise in the world,” he told the conference. He said that the European Union has brought peace to Europe and it is able to stand up to the major powers such as the US and Russia. He said that the UK has a far greater power and influence in the world being part of the EU. He said that leaving the EU would not necessarily mean that the UK could retain the best parts in a free trade Utopia. “We have no idea what and ‘out’ will look like if we leave,” Mr Lyon said. He said the UK has had some major success in the EU such as cutting the EU budget and freezing he pay of the EU officials. But he said that farmers are at the forefront of the debate and being in the EU gives them access to markets and enables them to trade on a level playing field. He warned that if the UK left the EU, it would have to renegotiate all the trade agreements within Europe and there was no guarantee that there would be such a good deal for the farmers. The UK would also have to renegotiate the trade deals with 50 other countries around the world and in any trade negotiations agriculture is always the sticking point. He said that the UK and UK farming's more powerful and more secure inside rather than standing outside the EU. “Leaving will put all that at risk. It will be a messy divorce,” he said.